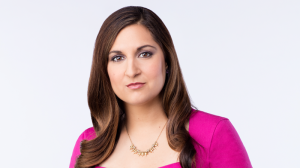 Nafeesa joined the reporting roster at CTV Vancouver in April 2012. Whether it’s in the snow, rain, or from high above in CTV’s Chopper 9, Nafeesa has reported live on some of the biggest stories in the city, including the convictions in the Surrey Six murders, the arrests of anti-pipeline protesters on Burnaby Mountain, and the massive 2015 Squamish Terminal fire. Nafeesa started her broadcast career at CKNW as a radio news reporter from 2006 to 2010. In 2006, she was a recipient of the George Garrett Award and in 2010 she was recognized with the 2010 Broadcaster of Tomorrow Award by the B.C. Association of Broadcasters. Nafeesa studied at UBC and majored in Anthropology and minored in Political Science before deciding to enroll in the BCIT Broadcast Journalism program. While at BCIT, she interned at CityTV, CTV Vancouver and CKNW NewsTalk 980. In her spare time, she enjoys singing in a choir, SCUBA diving and long-distance running.